West Virginians serving overseas will be the first in the country to cast federal election ballots using a smartphone app, a move designed to make voting in November's election easier for troops living abroad. But election integrity and computer security experts expressed alarm at the prospect of voting by phone, and one went so far as to call it "a horrific idea." The state's decision to pioneer mobile voting comes even as the United States grapples with Russian interference in its elections. 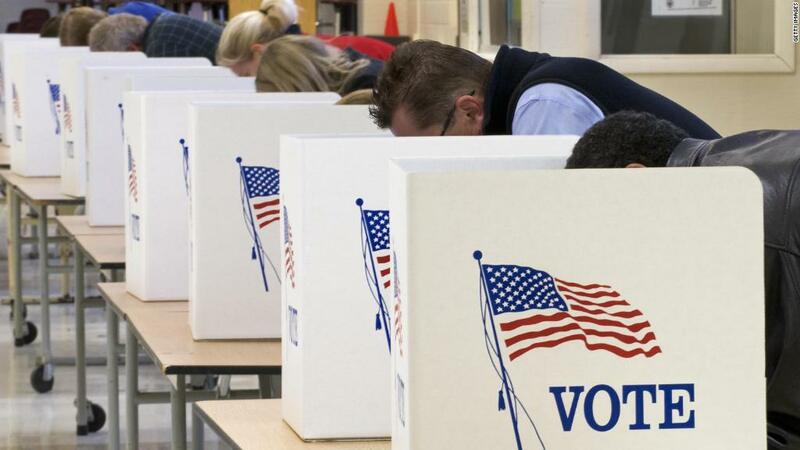 A recent federal indictment outlined Russia's attempts to hack US voting infrastructure during the 2016 presidential race, and US intelligence agencies have warned of Russian attempts to interfere with the upcoming midterm election. Still, West Virginia Secretary of State Mac Warner and Voatz, the Boston company that developed the app, insist it is secure. Anyone using it must first register by taking a photo of their government-issued identification and a selfie-style video of their face, then upload them via the app. Voatz says its facial recognition software will ensure the photo and video show the same person. Once approved, voters can cast their ballot using the Voatz app. Ballots are anonymized, the company says, and recorded on a public digital ledger called blockchain. Although that technology is most often associated with Bitcoin and other cryptocurrencies, it can be used to record all manner of data. Voatz is one of several companies exploring mobile balloting and recording votes on the blockchain. So far the technology has been limited to trial runs and private elections, such as balloting for the Rock & Roll Hall of Fame. West Virginia will limit the use of Voatz largely to troops serving abroad. "There is nobody that deserves the right to vote any more than the guys that are out there, and the women that are out there, putting their lives on the line for us," Warner said. Officials tested Voatz in two counties during the primary election earlier this year with financial backing from Tusk Montgomery Philanthropies. Warner's office said four audits of various components of the tool, including its cloud and blockchain infrastructure, revealed no problems. Still, state officials will leave a final decision on using the app in November to each county, Michael L. Queen, Warner's deputy chief of staff, told CNN. Warner told CNN he is not calling for the replacement of traditional balloting, and said troops can cast paper ballots if they like. But Voatz co-founder and CEO Nimit S. Sawhney sees the state as a springboard to broader use of the technology. Not everyone shares his enthusiasm. "Mobile voting is a horrific idea," Joseph Lorenzo Hall, the chief technologist at the Center for Democracy and Technology, told CNN in an email. "It's internet voting on people's horribly secured devices, over our horrible networks, to servers that are very difficult to secure without a physical paper record of the vote." Marian K. Schneider, president of the election integrity watchdog group Verified Voting, was even more blunt. Asked if she thought mobile voting is a good idea, she said, "The short answer is no." Related: Can this technology modernize how we vote? Even if the Voatz app is secure -- something Schneider said she could not confirm because her organization has not vetted it -- the "attack area is much broader" under mobile voting, meaning it creates far more opportunities for hacking and meddling. She also worries about the lack of a paper trail for electronic votes. "Undetectable changes that could occur in transit," she said. Warner is no neophyte to the need for security, and his efforts to secure the state's voting infrastructure earned praise last month from Matthew Masterson, a senior Department of Homeland Security official. Warner has lobbied the agency to share any information that might help states mitigate election meddling. He's even gone so far as to recruit the state National Guard in his fight against election interference. Charles Stewart III, who teaches political science at MIT, said that although he doesn't consider mobile voting ready for "prime time," he credited West Virginia for being "the bold ones" testing the technology. "There is something to be said sometimes for small scale pilots where we can learn the trade-offs," he said. November will provide just such a test. Supporters and skeptics of mobile voting will be watching closely.